Pianoland Pty Ltd, operating alongside Musical City, is a third generation, family owned company situated in Newcastle, N.S.W. The company has been trading in quality new and used pianos for over 40 years. 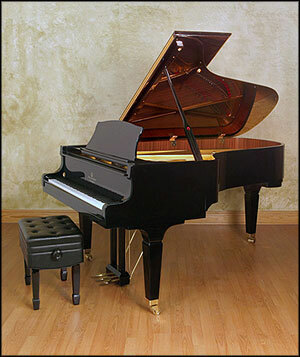 We are able to assist you in purchasing a piano that suits your budget and needs. Whether you are a professional pianist, Conservatorium student, or a parent with a child starting their first piano lessons, we will be able to find the right piano for you. "THE PIANO IS THE FOUNDATION OF ALL MUSICAL INSTRUCTION". We have supplied instruments to various musicians, Public Schools, teaching institutions and music teachers throughout our region. All our instruments are backed by a comprehensive 10 year warranty and include free delivery within our metro area, a matching piano stool and one free in-house tuning. Piano hire is ideal for the beginner pianist or parent who doesn't wish to invest in an instrument upfront. If you change your mind, simply return the piano after the hire period has ended. If you keep playing and you wish to purchase, ask about our cash back refund offer after 12 months hire/purchase deal. Pianoland is the largest piano hire and event hire company in the Hunter Valley. From beginners pianos at $15.00 per week* up to our professional model Japanese uprights. Pianoland Pty. Ltd. stocks a complete range of quality used pianos. We specialize in hand selected, professional model Japanese made Yamaha and Kawai pianos imported direct from our suppliers in Japan. All Japanese made used pianos purchased through Pianoland Pty. Ltd. carry a full comprehensive 10 year warranty. We ship Australia wide at trade rates. Contact sales@musicalcity.com.au for more information. Musical City 2010 All Copyright & Trademarks remain property of their respective owners.